Great Westchase location in the Highland Park community. This two-story townhouse has an open floor plan on the first floor with kitchen, living area, and breakfast nook. Kitchen has granite countertops, stainless steel appliances, and large walk-in pantry. Spacious dining room and half bath all on the first floor. Upstairs are three bedrooms and two full baths, plus the laundry room. The master suite has a large walk-in closet, a double sink, and a large double shower. Covered back porch connects to a private, detached garage with its own driveway and in-wall pest system. The townhouse is in close proximity to community park, playground, clubhouse, fitness center, and a fantastic Jr Olympic community pool that overlooks beautiful 64-Acre Lake Galt. Highland Park shops offer a pizza restaurant, coffee shop, local bar, and hair studio. Roof, water, lawn care, exterior painting, and insurance are all covered in this maintenance-free townhome. 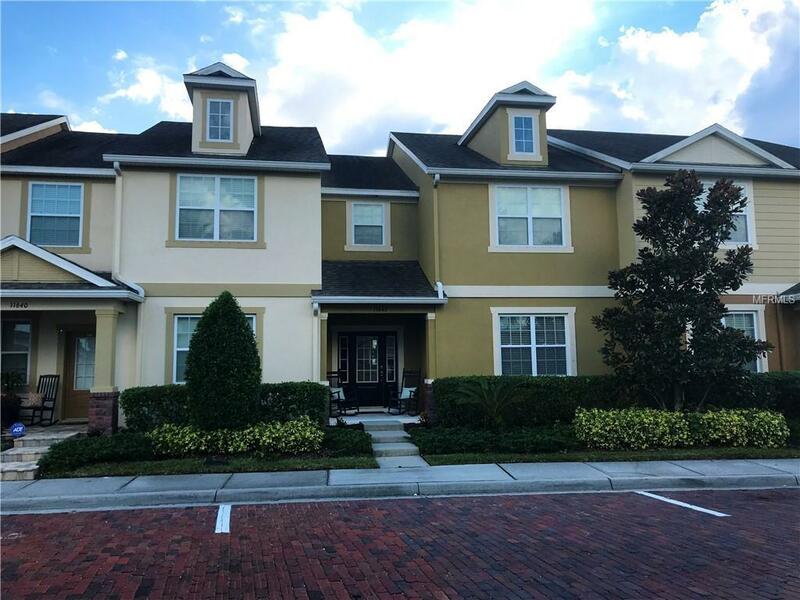 Minutes to upscale shopping and restaurants, 25 minutes to Tampa Airport, 30 minutes to Downtown Tampa or Gulf Beaches! Note: chandeliers in photos, not included.